Can an International Corporation Own a California LLC? Limited liability companies are created under state law and, therefore, the particular rules for LLCs vary somewhat in each state. One of the most frequently cited benefits of an LLC is its flexible structure and management. There are no restrictions on who can own a California LLC, but no LLC can perform professional services in the state. California allows foreign LLCs -- those created under the laws of another state or country -- to register to do business within the state. According to the State of California Franchise Tax Board, an LLC may be owned by any combination of individuals or business entities. There are no restrictions on ownership in the California statute and the California Corporations Code provides that “any” applicant can reserve a name for future registration as an LLC. Any LLC registered to do business in California, whether foreign or domestic, is liable for a minimum annual franchise tax, which is $800 as of 2011, plus an additional fee based on the total income of the entity. 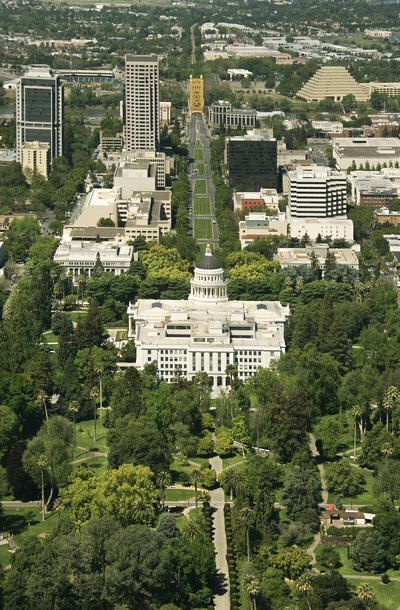 California recognizes both single- and multiple-member LLCs. This means that just one individual or organization can form an LLC, or it can be created by a partnership between more than one such entity. Though an operating agreement need not be filed with the state, California law requires that the members of a multiple-member LLC enter into an operating agreement prior to filing the articles of organization; the business must keep a copy of the current agreement at all times. Failure to have a copy of the agreement is one factor considered in piercing the veil of limited liability. Under state law, a California LLC must file Form 568 by the 15th day of the fourth month after the end of the company's tax year. If the LLC has foreign members, it must also file Form 3832 showing their consent to California's taxation of their share of the LLC revenue. For federal tax purposes, the IRS automatically treats a single-member LLC as a sole proprietorship and a multiple-member LLC as a partnership. Either type of entity can elect to be taxed as an S corp, but must meet the requirements for this type of an entity, which are much stricter than the ownership of a California LLC. Nonresident aliens cannot own an S corp under these federal rules; therefore, this is effectively a restriction on foreign ownership of a California LLC if federal taxation as an S corp is desired. Another potential restriction on LLC ownership is that no LLC may conduct professional services in California. Professional services are those that require a license, certification, or registration authorized by statute. Though a foreign corporation that provides professional services in or out of California may own an LLC, it may not use the LLC to render such services.